Our fundraisers run races, celebrate birthdays, honor loved ones, and find creative ways to support the more than 137,000 low-income kids that live along the Wasatch Front. YOU can be a force for good and help give kids in our community the chance to live their best life. Starting a campaign is simple. In a few short minutes, you can set up a campaign. Click 'Fundraisers' on the left hand side of your Facebook page. Search for United Way of Salt Lake. Set Your Goal. And just like that, you’ll be ready to start raising money. Join in the fight to change the odds so all kids can achieve their dreams. Spread the word! Ask your friends and family to give. Once your campaign is set up, share it with your friends and family! The more people you tell, the quicker you’ll reach your goal. Then, enjoy watching the donations roll in! Don’t forget thank your donors for being champions for change in our community. See the result of your gifts. When your campaign is over, the money you raise will go directly to help kids and families right here along the Wasatch Front. Then, we’ll report back to you with info about communities and students you are helping. Together, we can fight to ensure children reach their potential. Create your fundraiser and and start impacting children in your community! 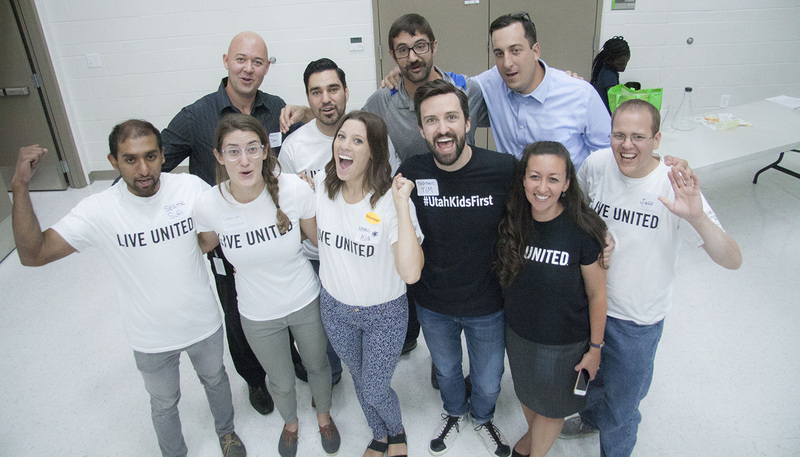 "The team at United Way of Salt Lake made fundraising as easy as can be. They set up an online platform that I could customize to my liking. It’s easy to share on social media. All had to do was click a few buttons and my fundraising page was ready. One Facebook post and a few days was all it took to reach my goal of helping Utah’s kids and families." Contact Emilia Comai Wood, Digital Engagement Manager, at Emilia@uw.org or 801.746.2565.